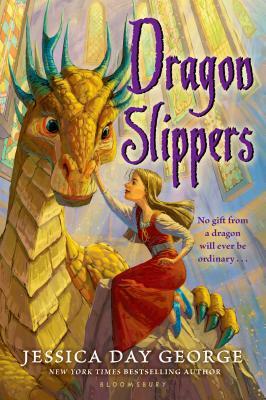 Dragon Slippers is an extremely fun story. When Creel's aunt sacrifices her to a dragon, her life takes an unexpected twist. Instead of becoming a sacrifice, she befriends the dragon and sets off on a journey to begin a new life. Creel's story is creative and original, like nothing I've ever read before. Suitable for ages 8 and up.